The Golden Joystick 2016 winners have been named! Just a little over a month before the year ends, gamers have named this year’s Ultimate Game of the Year, which is Dark Souls 3. You may have been expecting Overwatch to take home the UGOTY crown, but fret not because it took home four awards in different categories – which is very impressive as it bagged the most awards out of all the games that were named as winners. Other games that were given major awards were Titanfall 2 (Critics Choice Award), The Witcher 3 Blood and Wine (Best Storytelling and Best Virtual Design), and Pokemon Go (Innovation of the Year). Here’s the complete list of Golden Joystick 2016 winners. Take note, though, that those games that are yet to be released will be eligible for next year’s awards. 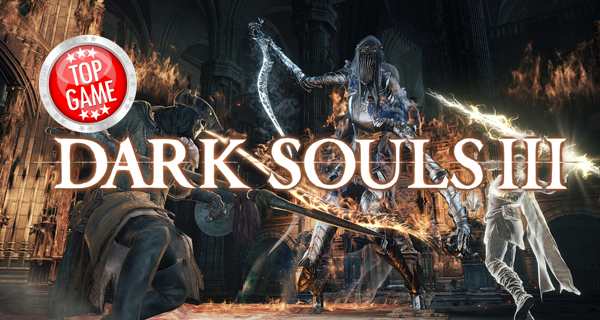 Do you agree that Dark Souls 3 is the Ultimate Game of the Year? Let us know your thoughts below!